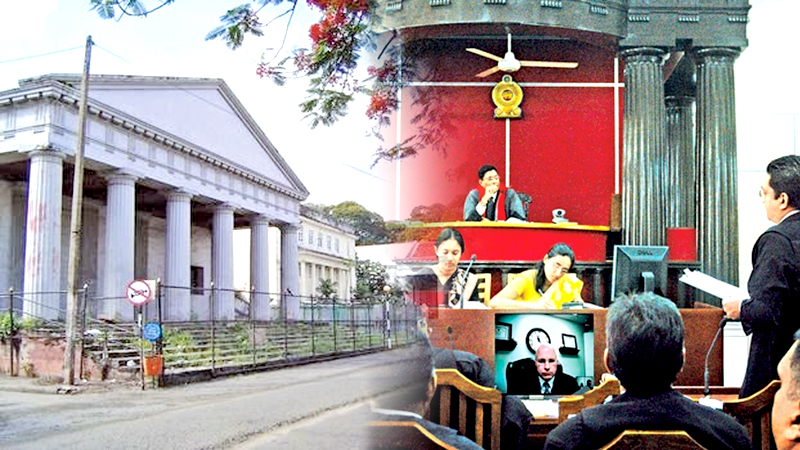 The government seeks the establishment of more High Courts to clear the unacceptably long delays in bringing to justice those responsible for huge corruption, Health Minister Rajitha Senaratne announced yesterday. He said the Cabinet of Ministers discussed the inordinate delays in prosecuting members of the former regime for plundering national wealth and decided there should more high courts as well as trials-at-bar. The minister said there was no bar to increasing the number of court houses “by one or two at least” and there were provisions for the Attorney General’s Department to hire private lawyers to handle the extra case load. He said constituents were constantly pressing for action against members of the former Rajapaksa regime who were yet to be prosecuted for huge corruption between 2005 and 2015. “We are told that on average it takes 10 years and two months to conclude a case in the normal course of events in this country, “ the minister said. When Prime Minister Ranil Wickremesinghe attended religious ceremonies at the Temple of the Tooth in Kandy last week, devotees asked him when the government would prosecute high profile crooks, the minister said. Co-Cabinet spokesman and Sports Minister Dayasiri Jayasekera said the government would request the Chief Justice and the Attorney-General to consider setting up the additional courts at the earliest. The two ministers said the courts could even have two sessions a day to speed up cases. Minister Senaratne said 101 cases relating to fraud and corruption allegedly committed by those linked to the former president and his regime were yet to be brought to court. Eighty seven case files had been sent to the Attorney General by the Financial Crimes Investigation Department (FCID) and 14 from the Criminal Investigation Department (CID).